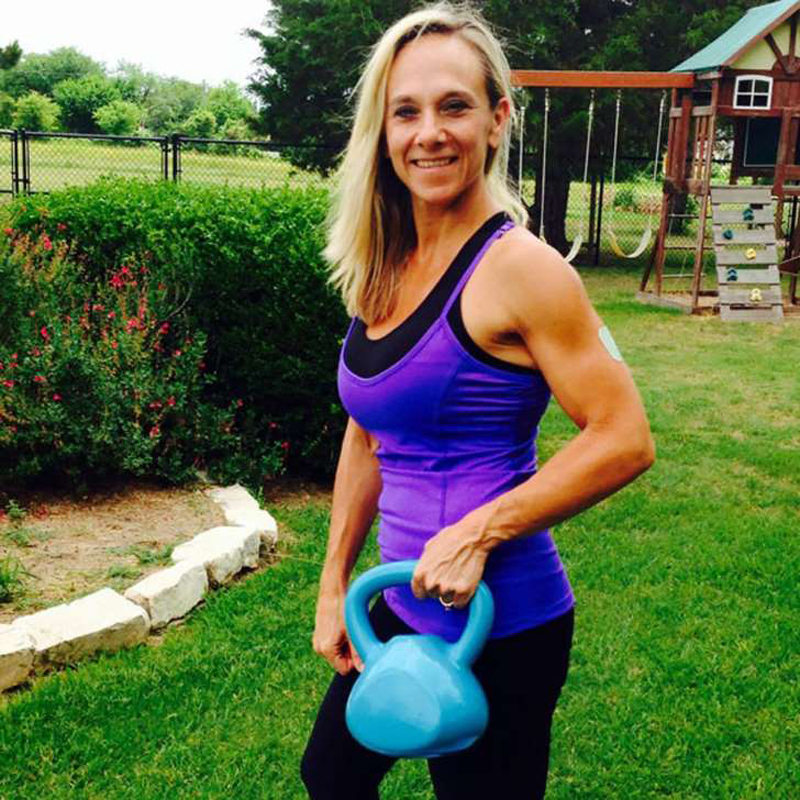 Detectives have been investigating the 2016 killing of Texas fitness instructor Terri “Missy” Bevers for two years but apparently aren’t any closer to making an arrest, her family tells NBC News. Bevers’ husband and three children spoke out in an interview on Saturday on the Today show, two years after the 45-year-old was found unresponsive on the floor of a Midlothian church, where she taught an early-morning class. Soon after her death on April 18, 2016, investigators released video footage of the suspected killer dressed in SWAT gear while walking through the church. Police have asked local residents to take particular note of the person’s unusual gait. Authorities have investigated more than 1,600 tips since the slaying but have not released a motive, according to NBC. They also don’t know if Bevers’ killer was male or female. Bevers’ husband, Brandon Bevers, told NBC News’ Kerry Sanders last week that he can’t believe the case remains unsolved. Still, the widower remains hopeful for an arrest. “I have faith that this will be solved, I just don’t know when, but the longer it goes on, the harder it is,” he explained. Missy’s three daughters, who also spoke to NBC, have been irrevocably changed by the loss of their mother but are handling it in their own ways, Brandon said. Allison, 15, recently auctioned off a prize-winning hog to raise $15,000 to go toward the reward money being offered for information that leads to an arrest in Missy’s case. When police told her they could not accept the money, Allison donated it to children with special needs — a cause close to her mother’s heart. “She’s definitely an inspiration to me,” Allison told Sanders. Midlothian Police Assistant Chief Kevin Johnson reportedly said they are committed to tracking down Missy’s killer. A reward of $50,000 is being offered for any information that leads to an arrest. Anyone with information about Missy’s death is urged to call 972-775-7624. Tipsters can also remain anonymous by contacting Ellis County Crime Stoppers at 972-937-PAYS.